With so much going on in the world around us, I hope you and your family are doing well. 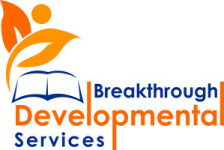 Everyone is off work at Breakthrough Developmental Services tomorrow for the Thanksgiving Holiday. We’re all excited to be able to spend time with our families and hope you enjoy your time with your own family. You may not be familiar with some of the assignments I give people who are part of our Parent Coaching Program. So, I wanted to share one here… especially since tomorrow is Thanksgiving. Sometimes families may have an assignment from my book Beginning Your Child’s Journey of Change. We intermix these with other assignments like the one below as a part of our programs to provoke thought and change mindsets. This Week’s Assignment: In your journal, note 5 things you’re grateful for this week. Give it a try and let me know what you think. Have a wonderful start to the holiday season. Check out our latest video about Social Groups, our new family, and workshops. Did you know we are now and in network provider for Tricare? If you are a Tricare member and interested in services, contact us today. Sometimes you really want to know the answer to a question, but you may think that you don’t want to bother anyone. You may think, let me just take a look around the website and see if I can find the answer to my question. I want to make sure that everyone has their questions answered. If we could answer any question for you about our organization or our services, what would it be? What would you like to know about? Submit your questions below for the team to answer. I wanted to make sure that everyone knows we are also a non-participating (non-network) provider for CareFirst BCBS. We did have a bit of a hiccup in the system last week were we could not access patient information, but everything appears to be smooth sailing at this point. So, feel free to contact us if you have CareFirst as a Third Party Payer.